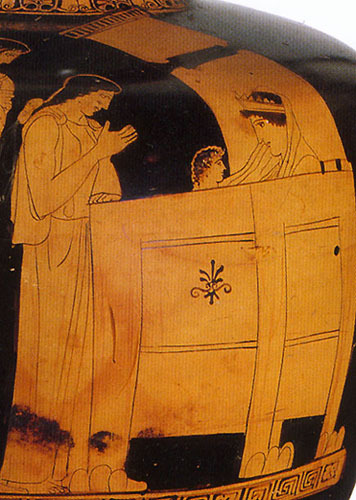 In mythology, an Argive princess imprisoned by her father Akrisios. 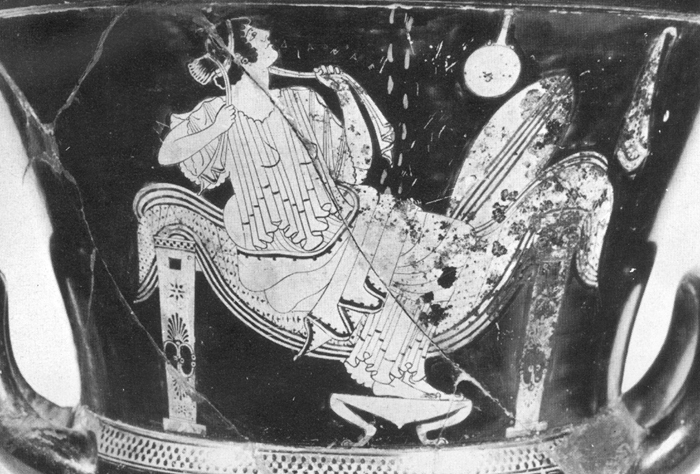 Zeus visits her in a shower of golden rain (interpreted in art as coins). 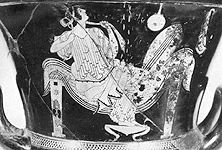 She is cast adrift with her child Perseus in a chest, which is washed up on Seriphos.